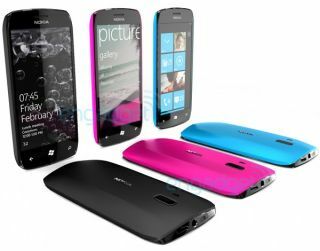 Will the arrival of Nokia WP7 phones help establish the platform? Nokia will receive over $1 billion (£600m) from Microsoft in order to make handsets running the Windows Phone 7 operating system, according to reports. The five year contract, which has yet to be signed according to Bloomberg, will see Microsoft stump-up a portion of the cash immediately to help the ailing Finnish manufacturer get started with the project. In turn, Nokia will pay Microsoft a software license fee for each copy of Windows it uses in its handsets, which it will account for by slashing its own research and development budget. The license payments will allow the US-based tech Goliath to make a profit on the deal, said to the report. The whopping payment may well have been the much-discussed sweetener that prevented Nokia signing-on as a partner with Android and going with WP7 instead. Other observers are suggesting that the Finns felt they would have a much better chance to stand out in the crowd, as WP7 has far less handsets on the market than the Android platform. Whatever the true reason, Nokia has been thrown a lifeline with the Microsoft tie-in and we're about to find out whether the company can get its head above water and pull itself to shore.